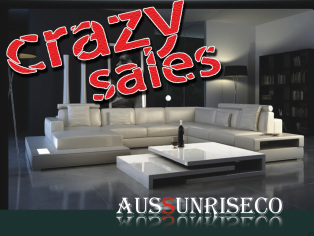 Welcome to Aussunriseco !!! - Welcome to Aussunriseco !!! modern design ; high-definition ; non-fading,no distortion, high-quality board,movement ; Could be customized by your own photos... home decor picture ; waterproof easy clean . User manual is available to download here. Welcome to our stunning collection of Europe’s leading designer brands of indoor furniture and accessories. Contemporary and modern furniture style utilizing quality materials and workmanship, together with design and comfort are the essentials. You've made a great choice. Leather is an ideal covering for your brand new sofa or lounge. It's both practical and aesthetic. It's durable, resistant to abrasion, easy to maintain and exceedingly stylish.we select in choosing brand and range suitable for the Australian market. Removable and reusable wall stickers. Washable. Simply peel & Stick to apply. Add warmth and character to your home or office with these heart felt and inspirational words of wisdom. Set those wonderful wall stickers will add class and charm to any space. User manual is available to download here. Breathable & moisture absorption and verntilation. If you’re not a fruit-loving person then maybe these Post-it Fruit Notes can convert you to shift to the lighter (and healthier) side. Even if it fails to do that, these functional and adorable post-its will definitely make your to-do lists and notes more enjoyable to read and follow.These post-it pads also double for quirky desktop decorations. Just flap the whole pad out and let it stand at one of the clutter-free zones on your desk. The only designs available for now are apples and pears, but hopefully more will be released in the future to expand the line.